This post originally appeared yesterday on the Axial Forum, an online thought leadership site for buyers and sellers of mid-size businesses, as well as transactional professionals in that space. Unlike typical silo expertise found among marketing agencies, sales trainers and operational consultants, Consilium's work with companies is based on the application of revenue growth tactics according to high level business growth strategies. We advise that business owners consider topics such as B2B marketing and export market development in a framework of long-term objectives. One of those objectives which CEOs and presidents hacking their way through the weeds of day to day business often discount is a future transition. It's often a distant and abstract conversation - but growing a company is like parenting children. Many of the days may drag by, but the years fly by. And too many company owners find themselves selecting a transition strategy from among acceptable options rather than strategically positioning their business to maximize their options. There's good and bad news for mid-size manufacturing firms. On the good side of the ledger is the resurgence of American manufacturing. That means that strategic acquisitions will become more common and that the transaction market will be more comfortable with frequent, lucrative manufacturing related deals. On the bad side, however, are demographics. Baby boomers will be selling businesses into a buyers market over the next decade. Savvy business leaders will build business growth strategies around this challenge and opportunity proactively. As companies mature, and owners age, those objectives often evolve. For every company there’s a moment when the theoretical and distant prospect of a transition suddenly becomes real and immediate. Some owners carefully plan and prepare themselves and their companies in advance - others react to circumstances. Regardless of the path by which they arrived, that moment focuses participants intently and exclusively on a company’s bottom line. Companies grooming their financials for an impending transition have little choice - the only place to readily “move the needle” in the short term is to cut costs. The “bottom line” snapshot doesn’t provide much texture, but it’s the inexorable sum of the top line and the costs. As such, it’s an indicator. But the science of business valuation recognizes the inherent limitations of a static indicator and therefore works with a projected profit stream. In other words, it’s a video compared to a single snapshot. Cutting costs is equivalent to posing the snapshot while the ongoing storyline is primarily a reflection of the top line. The direct connection between a strong, growing top-line and enterprise valuation is clear. But consistent top-line growth, and the approaches that create it, have additional tangential implications to business valuation that are often overlooked. Security of future revenue. Similarly, earn-out aside, a buyer will carefully consider the security of the revenue stream and the trend - not just the magnitude today. 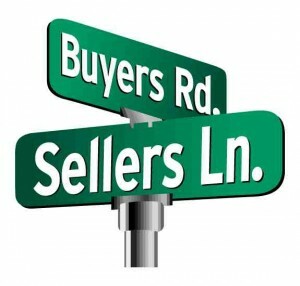 The same consid­­­erations that influence the seller will impact the buyer’s comfort with future revenue. The source of growth determines its profitability and repeatability. It’s easy for companies to adopt tactics that will bump the top-line in the short term but have consequences to sales and profitability in the longer term. Revenue growth needs to be built on strategies which create cumulative inertia and which can be clearly measured and managed for continuous improvement. Diversity of revenue also impacts its value to an acquirer. Just as concentration risk incurs a discount, conversely broadly diverse top-line revenue increases appeal. Diversity can be achieved across product lines, industries and geographic markets, including globally even for SMBs. Global diversification not only vastly increases market opportunity size, but also provides a further layer of revenue security to the extent that markets are somewhat decoupled - economic cycles aren’t directly correlated. These are deceptively complex - both in tactical execution and in the mind-shift that is required for most companies to succeed. We’ll dive into each of these in future articles, but here’s a quick overview. Back in the last millennium, buyers needed sales reps since they were the link to the information buyers needed in a world of asymmetric information distribution. Sales cycles were generally linear and predictable. The periodic direct contact between buyer and rep created a tempo and a series of progressive ‘yeses’, afforded the rep the opportunity to keep tabs on the buy side process and status, and allowed capable reps to sell - to influence the process. There is still a critical role for a talented, creative sales person - but sales, as most companies persist in practicing it, is dead. Today the ‘secret’ to revenue growth is to help people buy. That’s tough enough if your product is a cup of coffee - it’s downright challenging if your’s is a complex sale. Not only does the old bromide that a ‘business that isn’t growing is therefore dying’ apply, but for companies preparing for a transition (and every company should be!) growth must be sustainable, predictable, and secure. That’s not attainable by pressing harder on the accelerator of traditional approaches. Rather it takes an enlightened and bold approach to business development analogous to the revolution on operations of the last two decades - and it takes time to build. Companies that forge ahead will thrive. Of course it's all easier said than done. Markets are complex and growth is often elusive. It's not a DiY project! Download our free whitepaper on the risk of oversimplifying revenue growth stategy to learn how to position your company for success with appropriate business growth strategies.